Happy end of summer! This delightful and summery (but also heartbreaking) novel is the perfect book to wrap up these last few days of August. 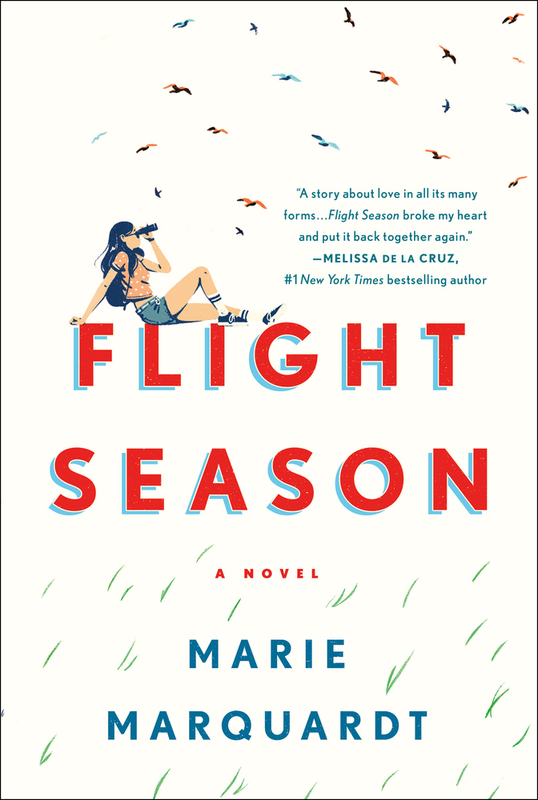 FLIGHT SEASON follows Vivi, a Yale student grappling with her father’s death; TJ, a nursing student paying his way by working at his family’s Brazilian restaurant; and Ángel, a patient at TJ’s hospital. To make up for her poor grades, Vivi spends the summer as a hospital aide, which is where the lives of our three main characters collide. As the trio grow closer, they learn more from each other than they ever believed possible. If you are in NYC and saw someone crying on the R train while reading this book a few weeks ago, there’s a pretty good chance it was me. This beautiful novel tore my heart into pieces. The characters in this story are among the the most engaging I’ve ever encountered. They are each forced to navigate tough situations—financial difficulties, illness, death, and immigration laws—and they do it all with relatable humanity. They each have their own unique story to tell, but the ways in which their stories intertwine are unexpected and lovely. This novel is perfect for fans of heartrending tales, such as those by Anna-Marie McLemore and Nicola Yoon.